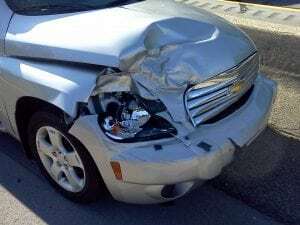 Irving, NY (March 23, 2019) – Car accidents occur every day, some of which only involve a single driver and others that involve two or more. If you have been injured in an accident and you believe another party is at fault, you have rights. Around 1:30 p.m. on Friday, police responded to the scene of a two-vehicle accident that took place on Routes 5 and 20. One of the vehicles at the scene was a green SUV, with the front completely smashed in from the collision. The accident took place at the intersection but police are not sure how the two vehicles collided. Crews from EMS and more were at the scene to tend to injured parties. We would like to take a moment to extend our sincere sympathies to the victims in this collision. Above all else, we hope that the victims of this accident will receive full recoveries during this difficult time. As the victim of a crash that is not your fault, a car accident attorney in New York will help you through this difficult time. Our attorneys at Hach & Rose are fully dedicated to helping the victims of careless drivers as they overcome many obstacles due to the legal system. These accidents can be challenging on physical and emotional levels, especially if the accident was quite severe. Please do not hesitate to reach out to us for the help you deserve at 212-779-0057.